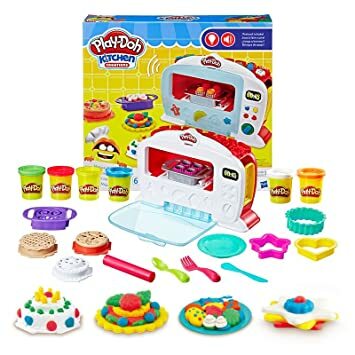 Play-Doh: Fun Factory Deluxe Set 这盒也是带模具的，over 30 个各种小动物模具，还带一个挤压器，可以把彩泥挤出像面条一样的长条。 原价30刀， 现在打折 $17.5. 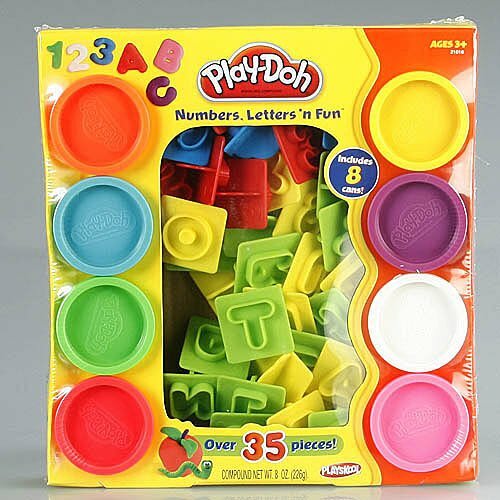 Walmart the Play-Doh Launch Game 降价 for just $5.97 (regularly $14.97). Plus, get free in-store pickup, if available near you; otherwise shipping is free on orders of $50 or more. 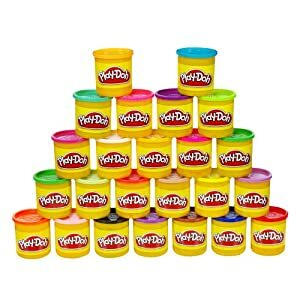 Walmart.com 现在 is offering this Play-Doh 60th Anniversary Celebration 60 Pack for only $14.94 (regularly $19.94). Choose free in-store pick up if available near you. 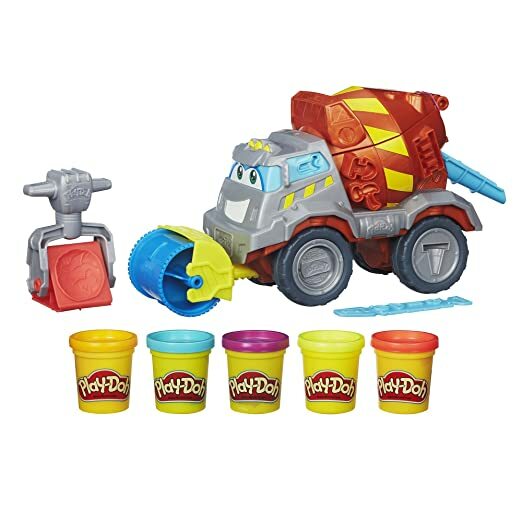 Amazon.com or Walmart.com where they are offering up this highly rated Play-Doh Doctor Drill ‘n Fill Retro Pack for only $9.62 (regularly $14.99). 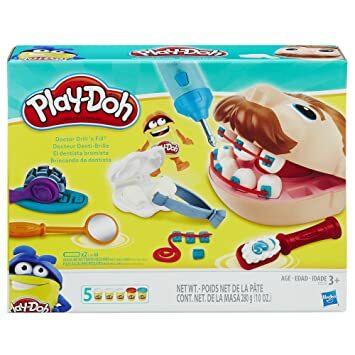 Your kids can pretend to be a dentist and fill cavities and make braces with this Play-Doh set that even includes an electric drill with lifelike buzzing sounds. 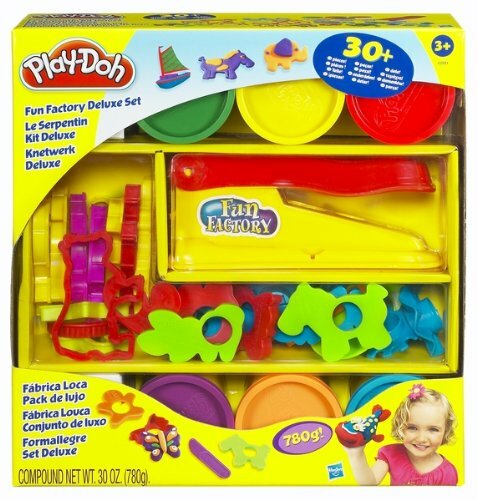 This set also includes the head, tweezers, roller, toothbrush, molds, five cans of Play-Doh and more! 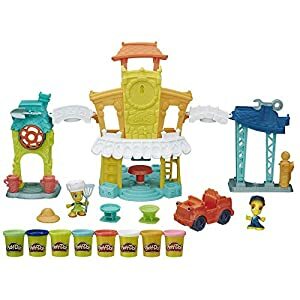 Amazon now you can buy this Play-Doh Town 3-in-1 Town Center for just $9.97 (regularly $39.99)! This same set at ToysRUs.com is currently offering for $21.99! 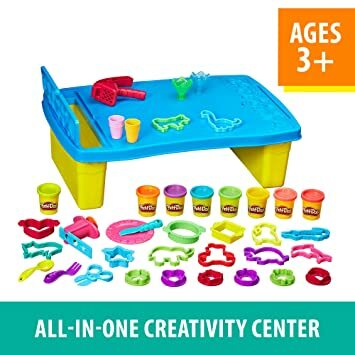 This 3-in-1 Town Center features a mechanic shop, flower shop, and restaurant plus 2 figures with hats, chef hat, vehicle, 2 stampers, spatula, spade, wrench, instruction, and 8 cans of Play-Doh Brand Modeling Compound. Today, February 12th only, Amazon is offering up big savings on select indoor toys and games from Hasbro – you’ll find deals on board games, Play-Doh, Nerf blasters and more. 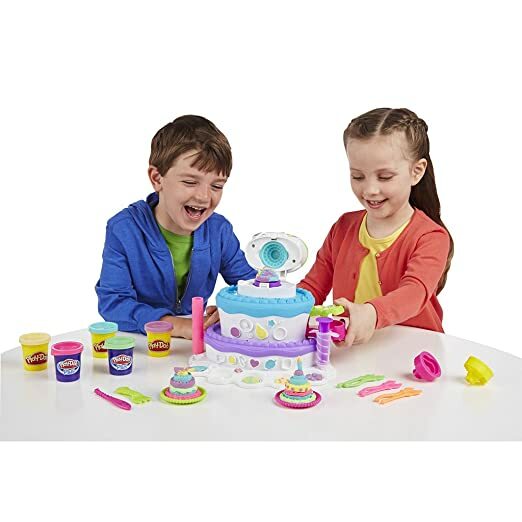 Today, April 15th only, on Amazon.com where you can save up to 70% off Play-Doh sets & more! This would be a great time to get a fun set for Easter!